For much of the last week or so I’ve been sorting out my garage. The time had almost come where hard hats and climbing gear were recommended attire for anyone who dared enter. During the clear-out, I discovered a couple of boxes of illustration board that had obviously been “put away for later” when we moved here ten years ago. When I checked the contents of one of the boxes, I discovered some long-lost artwork from my teenage years. Here’s a little of what I was into back in 1978-82, when I was 17-21 years old (and when my CB radio call-sign was “Grot” as you might note in the signatures). Back then, custom paint jobs, including airbrushed murals, were all the rage. 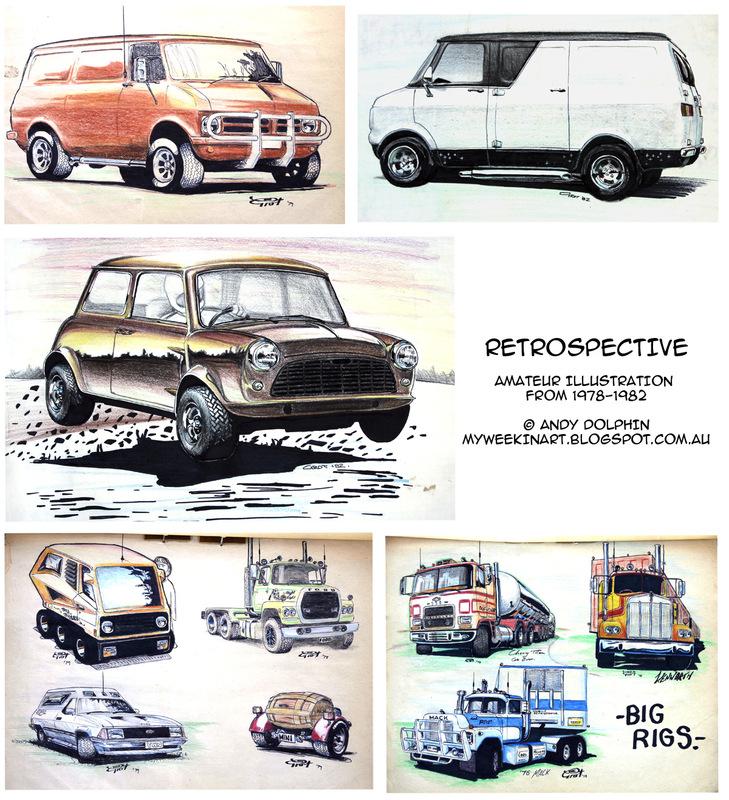 My brothers had oodles of magazines of custom-built cars of all shapes and sizes and I would spend hours dreaming up my own designs and paint schemes, using the magazine images as reference. As the years went by, I got quite good at illustrating reflections. Plein air in the wheatbelt.